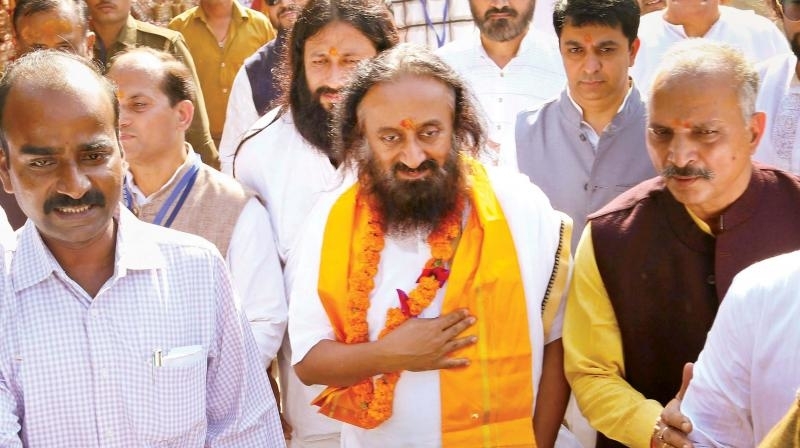 Sri Sri Ravi Shankar- Art of Living or Art of Coercion ? The Art of Living is open to people of all faiths. But when discussing the Ram temple, its guru starts to sound less like a spiritual leader and more like a politician. A few days back while talking to a news channel he had shared the dark prophecy that India could become Syria if the mandir issue was not resolved soon. “If the court rules against a temple, there will be bloodshed. Do you think the Hindu majority will allow it? They will garner resentment towards the Muslim community”. As expected he was slammed for his ‘provocative remarks’ and looking at the fact that this statement which had the potential to further aggravate ‘disaffection between communities’ a few police complaints were also filed in different parts of the country. What was disturbing to note, that neither the uproar nor the police complaints, had any sobering effect on this self-proclaimed ‘mediator’ in the Ayodhya dispute. He also stuck to the controversial statement he made a few days later in Jabalpur, Madhya Pradesh while talking to reporters. Reiterating his earlier statement he tried to justify it as part of his freedom of expression like other people. None of the reporters present dared ask him whether transgressing constitutional boundaries or set legal statutes could come under this claim or not. Coming to such statements there is no ambiguity as far as the law is concerned. The “Guidelines to promote communal harmony” issued by the Ministry of Home Affairs in October 1997 also point at the precise responsibility of the state machinery to deal with potentially inflammatory statements in the context of communal tension. Guideline 15 states that “effective will need to be displayed by the district authorities in the management of such situations so that ugly incidents do not occur. Provisions in section 153A, 153B, 295 to 298 and 505 of IPC and any other Law should be freely used to deal with individuals promoting communal enmity”. Article 20 of the International Covenant on Civil and Political Rights, which India ratified in 1979, affirms that “Any advocacy of national, racial or religious hatred that constitutes incitement to discrimination, hostility or violence shall be prohibited by law”. Examples galore where people with sympathies towards right-wing causes go on makingsuch statements without fear of any repercussion. What happens to people in all such cases is normally decided by your proximity to the powers that be. Despite the fact that it had the potential to create disturbances all over the state there was no action against him. There were demands to arrest him and slapping Goondas Act against him from opposition parties. The controversial ex MLA distanced himself from the Facebook post and said that the page was maintained by various administrators. () The matter ended there. “Yogiji has said in Gorakhpur that goondas and badmashes must leave UP. Who am I to point out sahib Yogi Adityanathji, that there are 28 cases against you of which 22 involve serious charges”. There are number of similar cases where one can be intimidated , harassed, tortured, jailed with frivolous cases being filed against her/him if you are nobody and dare to share say some morphed image of a ‘Great Leader’on social media or make some comment which appears ‘offensive’ to the hurt sentiment brigade. And while one still awaits the official reaction towards the ‘provocative’ statement by Sri Sri Ravishankar, it is incumbent upon us to discern the various arguments which flow from it. But before coming to that, it would be opportune to look at the latest developments in the case and some background. We know very well that Ayodhya, which has been a long time symbol of our composite heritage, was besmirched 25 years ago when a five-hundred-year-old mosque was demolished by vandals belonging to the communal fascist formations. As of now, the Supreme Court is seized of the case where it has decided that it will hear it as a ‘land dispute’ and the next hearing would be held on March 14. One can recapitulate that the intervention of the Supreme Court had taken place after it had stayed a judgement of the Lucknow bench of Allahabad High Court which had effectively turned the suit of the ownership of land into a property dispute between three parties and emphasised people’s beliefs and sentiments as opposed to actual facts to be clinching factors in deciding a case. The high court judgement had received widespread condemnation from civil society as well because it was clear that it was not delivered on sound legal principles and was driven by the point of settling the long-simmering dispute between the two communities at any cost. It was called a ‘Panchayati’ judgement where the word of the arbitrator/mediator was supposed to be the final word. The verdict had rather vindicated the long-standing demand by the Hindutva Supremacist forces that matters of faith were above any law and jurisprudence. It had caused tremendous jubilation in their camp then and with near victory in sight, they had even started raising other contentious issues between the two communities and had even demanded that Muslims should similarly rescind their claims on Mathura and Varanasi and thousands of other similar cases. A careful reading of Sri Sri Ravi Shankar’s interview makes it clear that he was trying to reinvigorate the crux of the Allahabad judgement which had upheld majoritarian claims and disregarded justice. By claiming that if the Supreme Court fails to uphold Hindutva demand then Hindus would erupt in violence, not only the spiritual guru was challenging the rule of law but also questioning constitutional principles before which there is no discrimination on the basis of caste, gender, community, race etc. It was also an ‘indirect appeal’ to all those people/formations who are sympathetic to the Hindutva cause that they remain ready for a new bout of frenzy. People who are normally taken in by this soft-spoken Sadhu whose global spirituality programme which goes by the name of Art of Living (AOL) – which is a rage among the generation next – would feel surprised if they listen to his advocacy of such causes where he appears less like a spiritual man but more a politician owning allegiance with to the Hindutva Brigade. As an aside, it can be noted that The Art of Living has established its network in 140 countries around the world and claims 20 million members. Many leading corporations like Oracle, Sun Microsystems and Cisco Systems hire AOL teachers to conduct seminars for their employees. 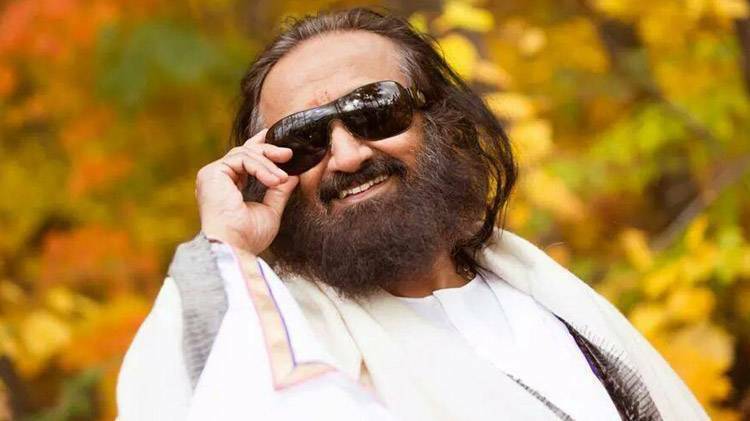 Of course, behind the carefully cultivated image of playfulness, love and joy, Sri Sri Ravi Shankar cannot hide what Meera Nanda calls his ‘Hindu nationalist passion’ It has been an open secret that on matters of Ram Mandir and minorities he has always shown where his sympathies lie. Art of Living’s occasional metamorphosis into Art of Coercion is a logical conclusion of this vision.